Hamilton Dental Associates is proud to be a staple of the Hamilton community for over 50 years. At our core is a belief in service to our community. By giving back, not only can we support those around us, but we bring the HDA family together in a shared pursuit of helping others. Since our inception, we have supported local schools, groups, community and non-profit organizations. Our doctors and staff enjoy participating in charity events including runs/walks, community festivals, fundraiser galas, and local sports events. 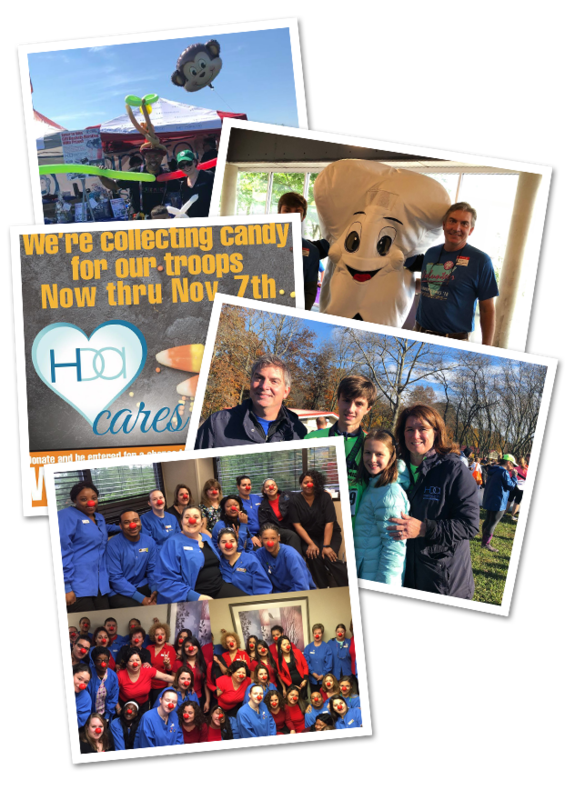 Each year, we collect candy for soldiers overseas, supplies for natural disaster victims, and food for local families in need. Not only does our team participate, but our patients provide tremendous support across the board. We are frequently asked to participate in local fundraisers. If you would like us to contribute, please complete the form below and a member of our team will get back to you. Is your organization an IRS non-profit?